It’s odd, but little by little, a few things here and there are breaking. After all this time that the RV has been around (40 years), right when we are getting ready to travel is when they start to give out. We finally got the one wire replaced that burned out, and now it runs beautifully. A couple days ago, our lock suddenly stopped working. After pulling it apart, I thought that perhaps my wife had pulled on the handle too hard and just stuck the springs, but upon closer inspection, I discovered that the slider had broken clean in two spots. I’m betting one spot had been broken for some time, and the added stress broke it on the other spot. I went to Arbutus RV yesterday to see if they had any entryway locks that could possibly replace it, and they didn’t have anything, but they were super helpful, and we able to not only track down the model of lock I have, but it’s replacement. 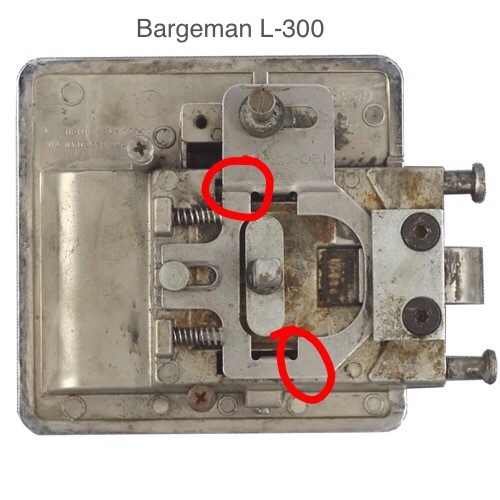 We have the Bargeman L-300, which is no longer in production, but a company called Tri Mark makes a replacement for it. It’ll cost about $200 with shipping to get the new lock, and we don’t quite have the funds for that currently, so I’m searching for someone that may have a MIG welder that can tack the two spots and get the lock functional again until I can replace the lock entirely. At least the RV is in running condition again!